Why do we keep going back to Malaga? The province of Malaga is one of those destinations that appeals to holidaymakers year in, year out. So, just what is it about this place that has us chomping at the bit to go there – time and time again? I’ve put together a list of what I think are the most important factors; hopefully these will help you decide whether Malaga’s the right destination for you – or will inspire you to make a return trip! And on the off-chance they do, you can find cheap hotel deals here. Perhaps a little obvious, the weather is clearly one of the biggest draws to this neck of the woods. 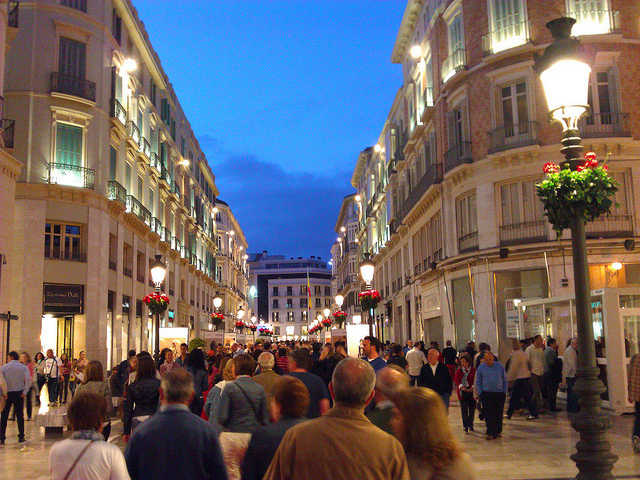 Malaga province has a warm Mediterranean climate that benefits from long, lovely and dry summers, while the winters are short and mercifully mild. What’s particularly appealing about Malaga, though, is that it’s sheltered from the north wind by a mountain range – something that makes gives it a calm atmosphere, and makes the beaches nice and tranquil. The aptly named Costa del Sol (Sun Coast) runs through Malaga, and this part of the province is, as you’d expect, particularly popular for holidays. It’s really well set up for tourism too, with accommodation for just about every budget available along here – another part of Malaga’s appeal. Of course, good weather and a coastal location means that beaches are likely to be another prime attraction – and indeed they are. Looking at the city of Malaga first, one of the best beaches to hit is Las Acacias, it having Blue Flag status. La Malagueta, which is quite close to the city centre, is another good option – especially if you fancy relaxing somewhere with plenty of facilities. Indeed, you’ll find everything from restaurants to a children’s play area here. Beyond Malaga city, beaches like Carihuela in Torremolinos and El Chorrillo in Nerja are among the best to go to. As with any destination on the coast, water sports are an obvious activity choice, and there are plenty you can try in Malaga. But before I get on to that, I’d just like to point out that the province is great for hiking too. The Montes de Malaga Natural Park, which is just outside the city of Malaga, is one of the best options, being home to some great trails, including short, circular ones for those of you who don’t fancy anything too strenuous. There’s also a fair few golf courses, particularly in and around Figuerola, which is home to nearly 20 in total. Plus, because the weather here is so mild, you can play no matter what time of year you visit. Going back to the water, though, both sailing and scuba diving are very popular. Sticking with the example of Figuerola, this town is particularly good for scuba diving, being home to several diving schools and excellent marine conditions. Let’s not forget culture. The cities here – Malaga especially – are home to a wealth of cultural attractions that’ll give you an authentic taste of Spain. Malaga, for example, has some beautiful architecture, like the Gothic Malaga Cathedral, which dates back to the 16th century. It’s also the birthplace of Pablo Picasso, and today you can go to see his former home, as well as explore the excellent Picasso Museum. Of course, what all of the above adds up to, really, is one big advantage – variety. Variety is the thing that allows to you to have a more interesting break, and what will make you want to come back time and time again to try something a bit different, or catch something you missed before. For me, it’s one of the biggest aspects of Malaga’s charm – after all, it’s not everywhere you can enjoy some of Europe’s most glorious beaches and weather, have amazing nights out in the city, hike in lush green natural parks and revel in family-friendly theme parks all in a single trip. And that’s not even mentioning all the great water sports and suchlike that are on offer. 2 Responses to Why do we keep going back to Malaga?